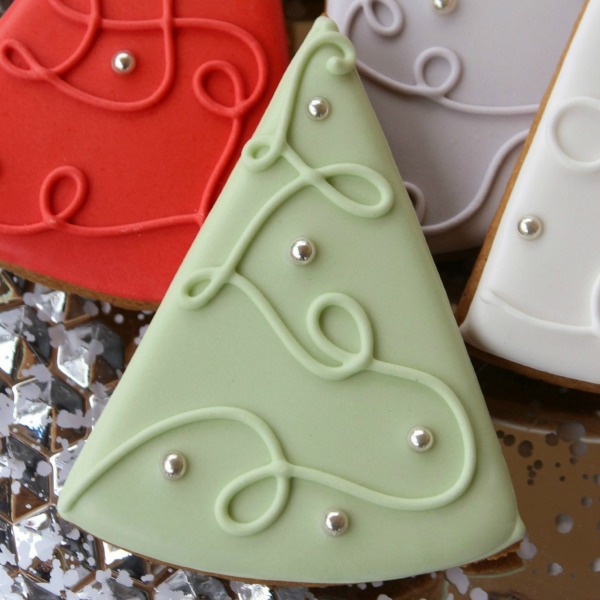 There are very few cookies that say, “Christmas” quite like gingerbread. With the busy holiday season in full swing, I am always looking for beautiful decorating ideas that don’t require a lot of fuss. 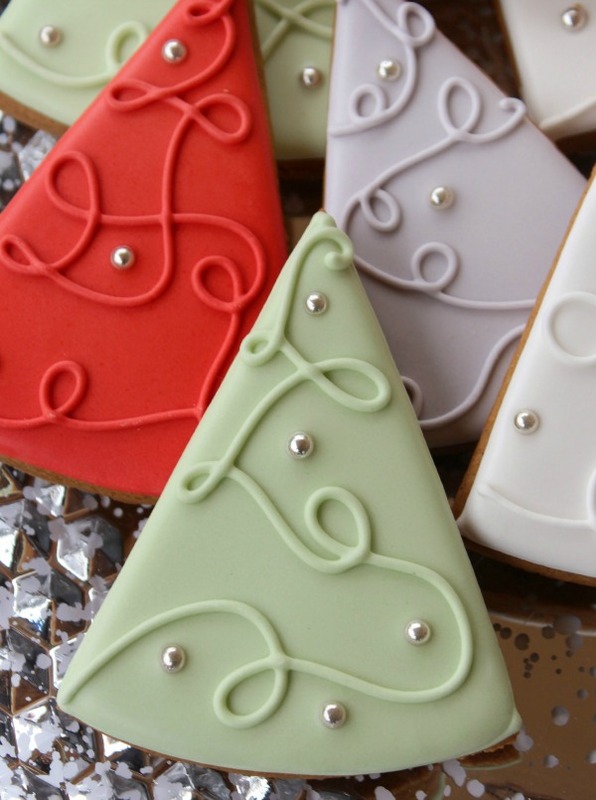 These simple gingerbread trees are easy decorate and make a great gift. I’m probably beginning to sound like a broken record, but I thought I would say it one more time. 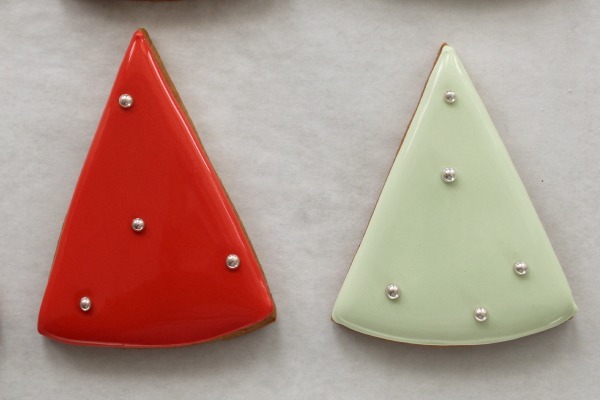 Often, the simplest cookies are the most beautiful cookies of all. I started out with my basic gingerbread recipe. Believe it or not, I didn’t even use a cutter for these these trees. 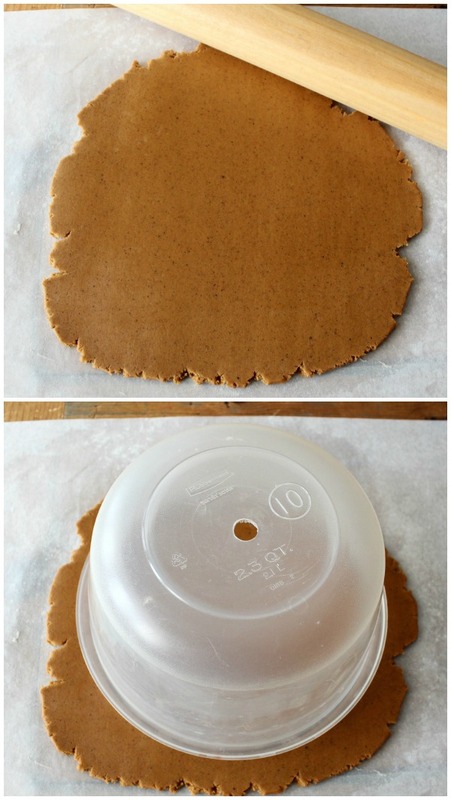 I took a cue from my pizza slice cookies and used a repurposed plastic container instead. Roll and cut the dough as pictured below. 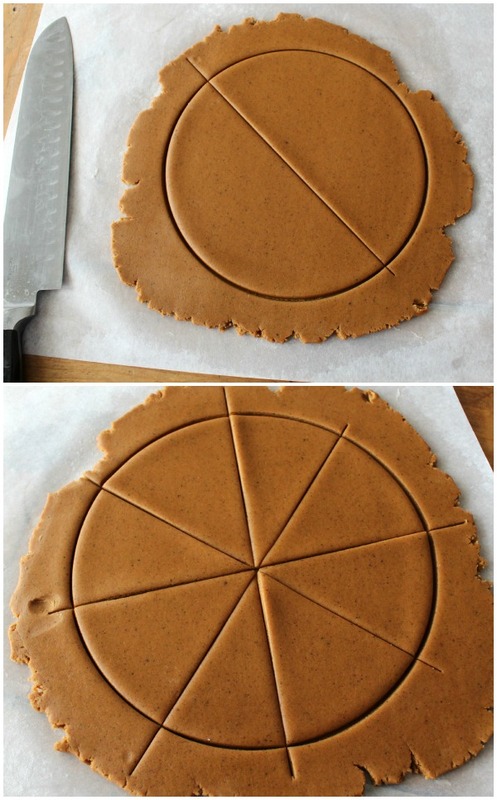 Then, use a sharp knife to cut into slices. 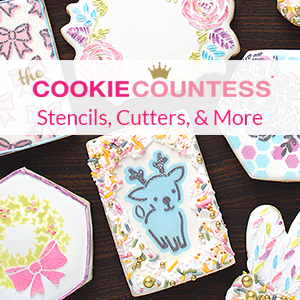 Outline and fill the cookies as pictured below. 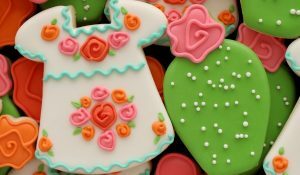 Quickly, while the icing is wet, drop on sprinkles or dragees. Let the cookie dry, then pipe on a random swirly pattern. These simple swirly trees would be beautiful in several different color palette’s. Try them today. 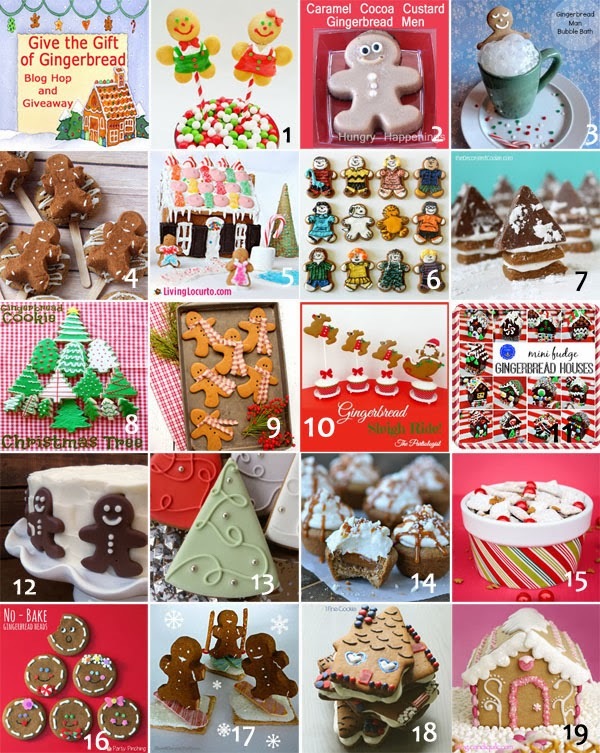 Are you looking for more quick and easy holiday gingerbread projects? 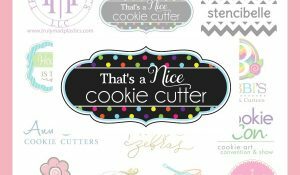 Check out these fun posts and don’t miss the giveaway at the end. 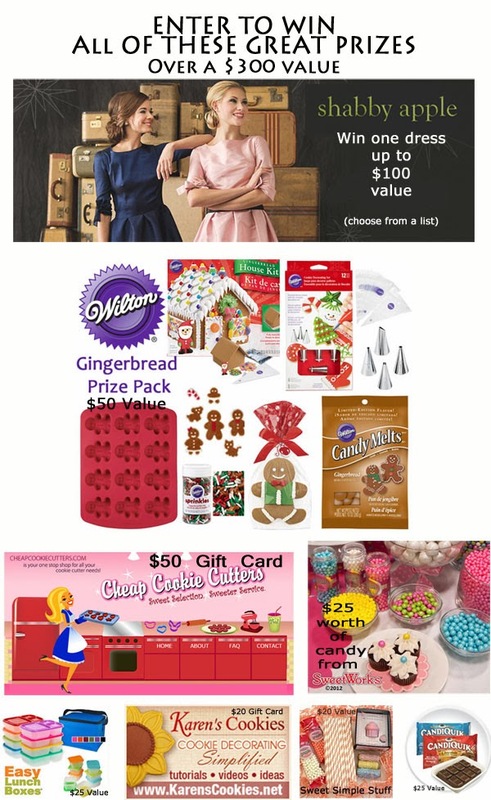 *The Give the Gift of Gingerbread Giveaway will run from December 11 through December 17, 2013. Entrants must be US residents, 18 years or older Void where prohibited by law. Enter via the Rafflecopter entry form below. One winner will be chosen to win the entire prize pack and will have 48 hours to respond with their mailing information. If the winner does not respond in 48 hours, another winner will be chosen. 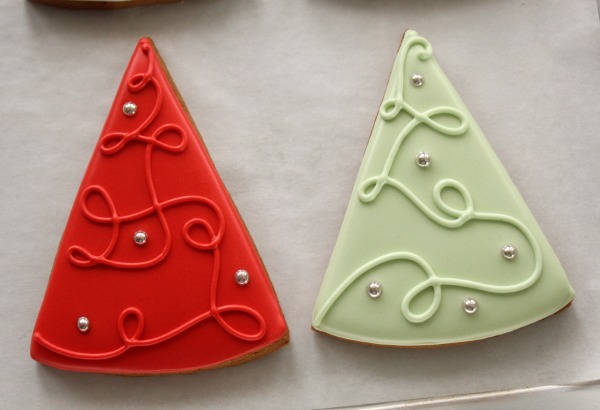 Love these pretty trees – they’re dressy and cute, the “little black dress” of Christmas tree cookies!! Thanks for the giveaway. You ROCK! Thanks for the super idea! Great for Christmas gifting! 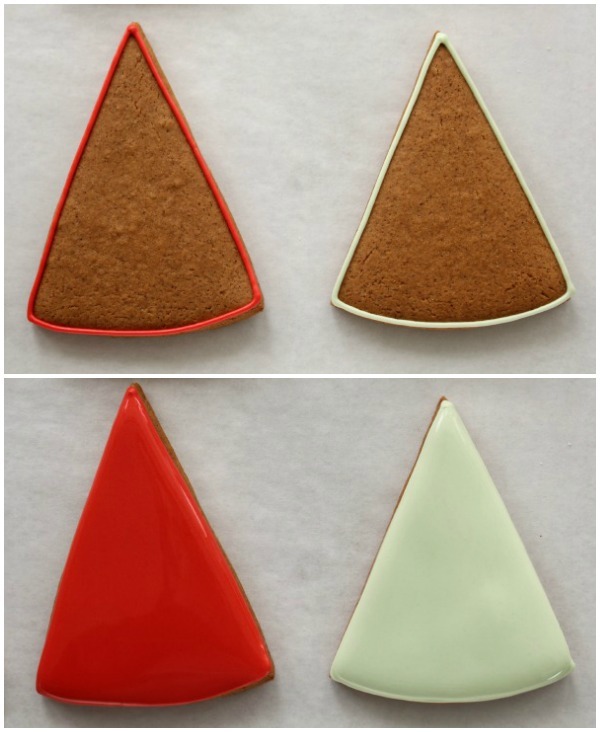 I just made gingerbread and was wondering how to make them pretty. Thanks for the inspiration! 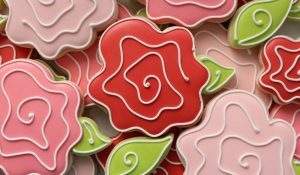 These are so pretty – I’ll have to keep them in mind for next year! I love the color palate! What colors did you use to get your green and lavender/gray colors? I can’t wait to made this beautyfull treats, thanks for sharing . I’m impressed! 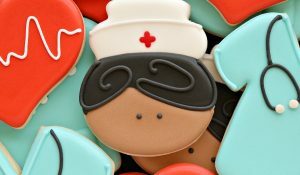 These cookies are beautiful and you made it look so easy. I’m going to try this tomorrow. Thank you!